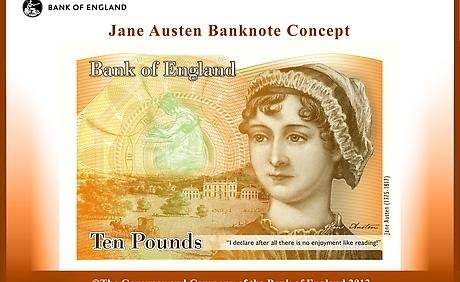 DC Moore Gallery is pleased to announce that the Bank of England has selected a drawing by Isabel Bishop to include on their banknote commemorating Jane Austen. "An illustration of Miss Elizabeth Bennet undertaking 'The examination of all the letters which Jane had written to her'– from a drawing by Isabel Bishop (1902-1988), who illustrated E. P. Dutton & Company’s 1976 edition of Pride and Prejudice. Copyright DC Moore Gallery, New York, representing the Estate of Isabel Bishop."